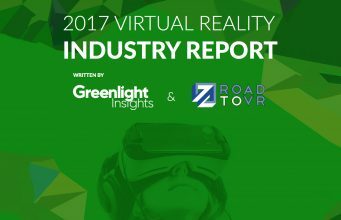 Greenlight Insights and Road to VR are teaming up once again to co-author a comprehensive report on the VR industry which will provide global forecasts, analysis, and best practices. The Virtual Reality Industry Report: Spring 2017 launches April 4th, pre-order today to save 40% off the list price. Looking ahead is tricky business. Predicting what might occur in one year from now is one thing, but looking further out is difficult. Megatrends (1982) author John Naisbitt said, “The most reliable way to forecast the future is to understand the present.” That’s where Greenlight Insights puts the majority of its energy. If a company truly understands where things are today, it has a chance at creating a view of the future. This is why Greenlight Insights, the global leader in virtual and augmented market intelligence, and Road to VR, the world’s leading independent VR news publication, will come together again to publish the Virtual Reality Industry Report: Spring 2017. This report is the fifth edition of Greenlight Insights’ annual report providing a comprehensive perspective on the virtual reality industry, including hardware unit forecasts, market revenue forecasts, industry and technology analysis, and other special topics for industry executives. This year’s report will feature historical data on headset shipments and global forecasts through 2026. The report, currently available for pre-order, will include special in-depth sections on China and Japan. Greenlight Insights’ Market Forecast is based on a market model specific to the dynamics of the VR market and identifies the key influencing factors about which assumptions are made. Last year’s 2016 Virtual Reality Industry Report was purchased by some of the world’s leading organizations now working in the VR industry, including Google, HTC, Sony, Intel, Tencent, and many other companies and educational institutions worldwide. 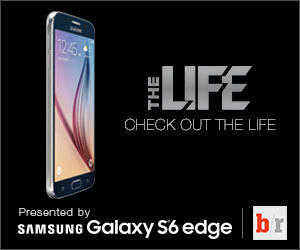 Pre-order today to save 40% off the list price through March 20th. The post 2017 VR Industry Report to Bring Data-driven Insights & Forecasts That Cut Through the Hype appeared first on Road to VR.